ConcealedBlade.com was created for the sole purpose of giving all the sneaky, stabby Operatives out there a place to find information, guides, tips and tricks for the class. Maybe even a place to hang out! 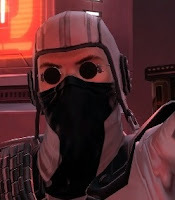 For quite some time I have been searching far and wide for information in order to improve my Concealment Operative. But, alas, it has ultimately been to no avail. Sure, I find bits and pieces here and there from scattered forums in the internet, but nothing truly solid. Nothing like the Assassin class specific fansite, MadSithAssassin.com. This is where this site comes in. My ultimate goal is to find and compile all information out there on Concealment Operatives and give them a home. As well as adding my own opinions and those of others. In other words, not everything that is posted in this site is solid information. There will be theorycrafting and results from parses and whatnot, which is as solid as you can get. But, in the end, remember that this is a guide to Concealment Operatives. Not a gold paved, one-way road. I was introduced to Star Wars by my older brother, who collected the original toys and would begrudgingly let me play with them. His concern was legitimate because I tended to toss toys through a hole in the wall behind my bedroom door. I fell in love with the ideology of the Jedi and naturally, Obi-Wan Kenobi became my favorite character (and remains to be through the new trilogy). With that said, I have been a fan of the Jedi since day 1. Fast forward a couple decades filled with collecting Star Wars memorabilia, then SWTOR: Old Republic was announced. By this time, I had become a major fan of Darth Maul from Episode 1, so when this game was released, my first character was a Sith Inquisitor Assassin. Naturally. It was a lot of fun but in the end, I had no one to play much with so I returned to my first MMO, World of Warcraft. Then one day, an old friend of mine returned to SWTOR and kept pestering me to join him. He had joined the TORWars guild and said the community was just fantastic. I joined in, rolled an Agent, fell in love with the character, and the rest is history. Looking everywhere, I have not been able to find a good source on agents. Specifically, Concealment DPS Operatives. So, I have taken it upon myself to create this site for us "stabby ninjas" to have a place where we can share thoughts, ideas, tips and tricks for the class. A lot of the information that will be posted here is not mine and will be credited appropriately. I've done a lot of forum diving to find bits and pieces of info which I will plan on sharing here. Enjoy! Since the game's release, never have I been part of a guild that is so fun, friendly, and active on both Empire and Republic! I may no longer be in this Guild with Du'morte, but i still have several character in here. It is still my home away from home. The guild is great, the people are great, and they make the game worth playing. So, if you are looking for a guild to join or just cool people to hang out with, this is the guild for you! Follow the links below. Talent Tree, Rotation, Stat Priorities Available! Patch 2.5: Overload Shot gets Overloved. Then Shot. 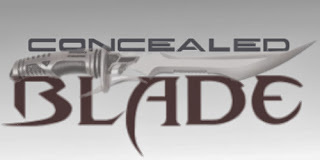 Concealed Blade © 2015. All Rights Reserved. Theme images by hdoddema. Powered by Blogger.